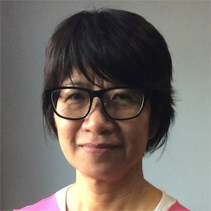 Elizabeth Tang is the General Secretary of the International Domestic Workers Federation, a membership-based global organization of domestic and household workers, which aims to connect organizations into a global federation through capacity building, exchanging best practice, advocacy and awareness campaigns and leveraging support. Prior to IDWF, Elizabeth was the Chief Executive of the Hong Kong Confederation of Trade Unions where she worked for 16 years. Elizabeth holds a postgraduate degree in the Sociology of Labour from the University of Warwick in the UK.